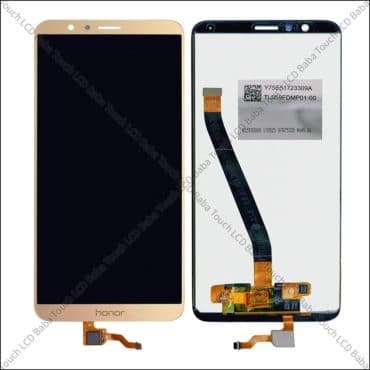 Looking for Honor 7x middle frame to paste a new display? If yes, then you are on right web page. On this page, we are offering Honor 7X middle frame which is a perfect replacement for a bent or broken frame. You can use this frame to paste a new display and restore full life of your phone. Any questions? Contact us @ 9587954273. Are you looking for Honor 7x middle frame which holds the display? If yes, then we have middle front side frame of Honor 7x available here. The model number of Honor 7X is Model BND-AL10 so before you buy this middle frame, please make sure that you are buying for the right model number. 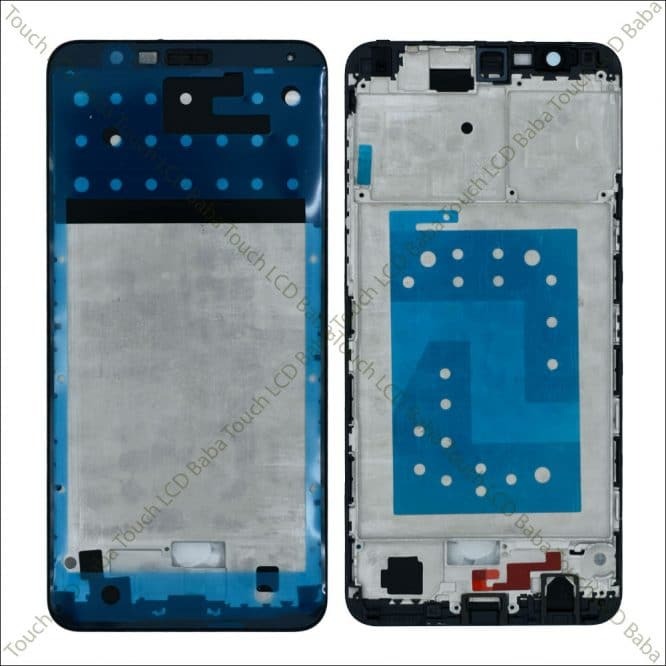 Please note that this is NOT back side panel of Honor 7x, this is front side frame in which you can paste a new display. 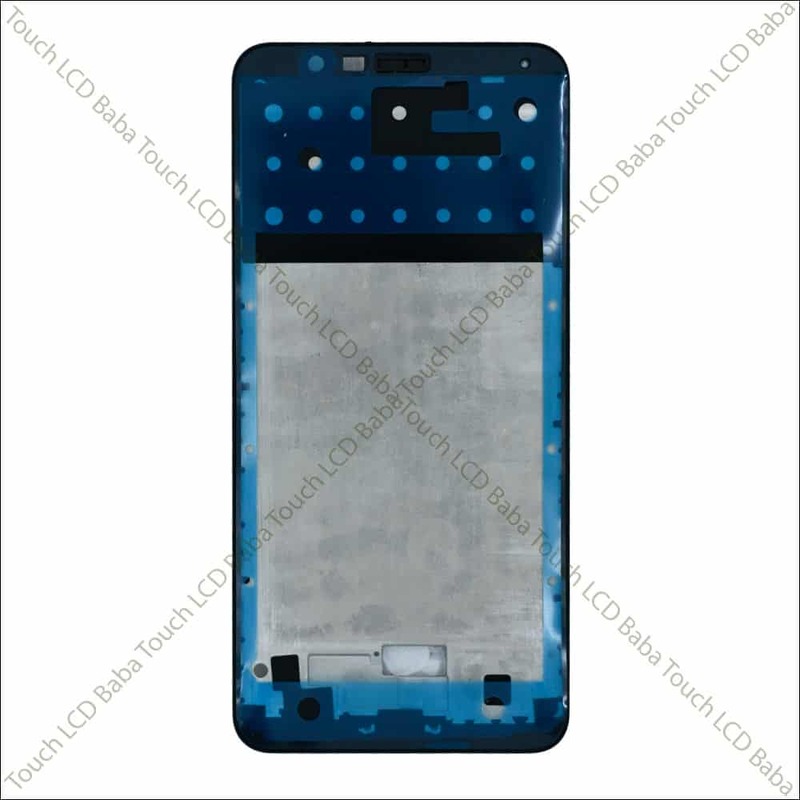 The display and touch screen combo is NOT included in this part but this is just front side frame as shown in the photos here. 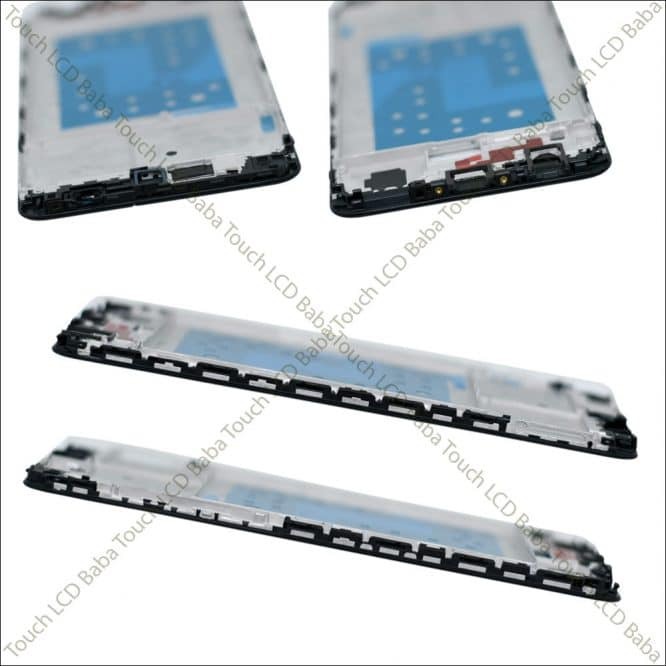 If you have a broken outer frame and you can’t fix a new display in it, you can buy this middle and paste a new display inside it. You might be wondering about what is the need of middle? 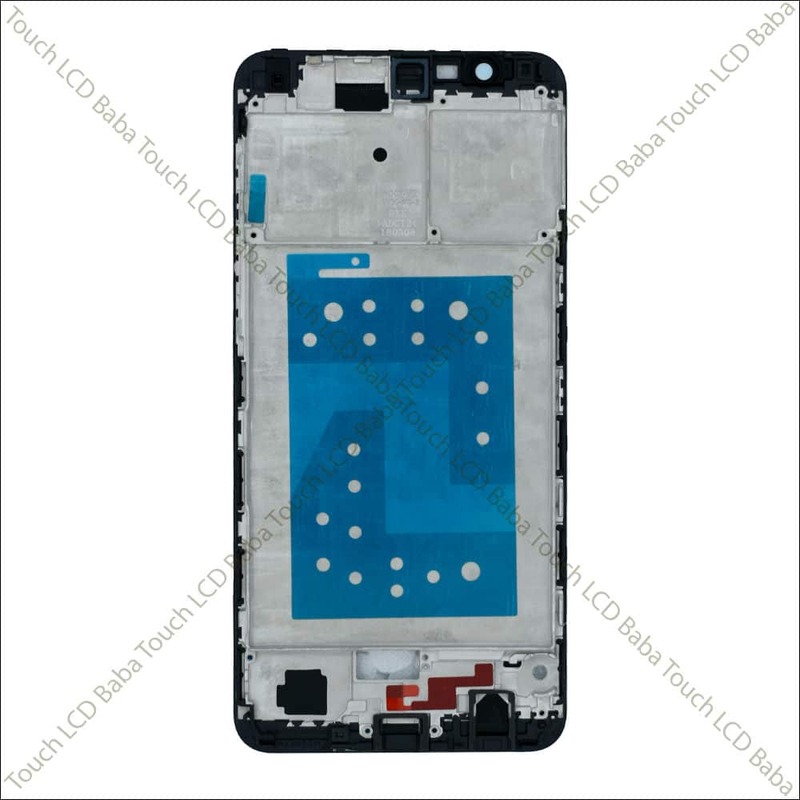 The middle is the part of phone in which the display is pasted in the front side and its back side holds the motherboard and other key components of the frame. Sometimes due to severe damage, the middle gets bent of broken and you can’t fix a new display in it. In more severe cases, when the battery is burnt, the middle melts and gets out of shape. In such similar cases, you need Honor 7X middle frame to paste the display and resolve any issues related to front side. If you are dealing with a broken Honor 7x frame, this is the best and perfectly suitable product for you. 100% Brand New Middle Frame For Honor 7X. This part can be used as a base of a new display. The part comes exactly as shown in the photos. It resolves all issues related to front side outer frame of display. Some people also call it as outer ring of Honor 7x. Tested For any manufacturing flaws before dispatch. These images show the actual product you’ll be getting after your order. This is a complete Honor 7x middle which can be used to replace a broken, bent of misshaped outer frame. Please note that this is NOT display or touch screen. This is just the middle frame. We accept Payments via all types of Credit Cards, Debit Cards, Net banking, ATM cards as well as Wallets like PayTM, Mobikwik Etc. All the payments are processed under a secure environment and we don’t store any sort of information on our server. We don’t offer cash on Delivery service on this product. If you’ve any questions about Honor 7x Middle Frame, please feel free to call us on 09587954273. You can also send us a WhatsApp Message on 09587954273 and we’ll be very happy to assist you with all your queries. We test the product for any manufacturing defect before sending and there are literally no chances of any defect. Still, the product which you are looking to purchase comes with the replacement warranty. It means that If there is a genuine case which needs replacement, we will be very happy to do so. Please note that used parts are NOT taken back for replacement but only unused parts can be replaced and there is no exception to this policy. Would you take a used part from us? No? So we also can’t. This Honor 7x middle frame is perfect all the time so there is no replacement available. We don’t accept return on this item so please make a firm buying decision. We don’t accept any returns based on weird reasons. However, If there is any issue with the product itself, we are more than happy to assist you. You can always call us at 9587954273.